We hope you enjoy visiting our pastures and meeting some of our Red Angus critters who make us what we are! We have been raising Red Angus cattle for a number of years and offer some of the best breeding genetics there is to offer. 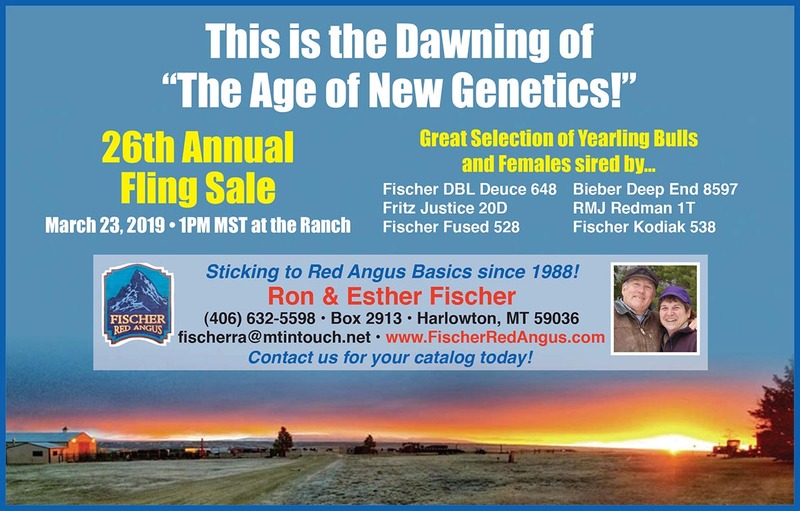 Our Spring Fling Red Angus Bull Sale has produced herd sire bulls who have gone all over the United States. A couple bulls every year go to another registered Red Angus breeder, but the majority stay close to home to commercial cattlemen. We enjoy the opportunity to watch our Red Angus bulls work in a number of different cattle programs. We at Fischer Red Angus are always open to discussing cattle, viewing cattle, or any other matter which can help promote the Red Angus breed. Please stop in and visit. The door is always open. Every year on the 4th Saturday of March we offer our Red Angus Yearling Bulls for sale at our ranch. Need a herd bull? Check us out. Read about the beginnings of the ranch which started in 1988 with only 5 registered Red Angus to where the program is today. 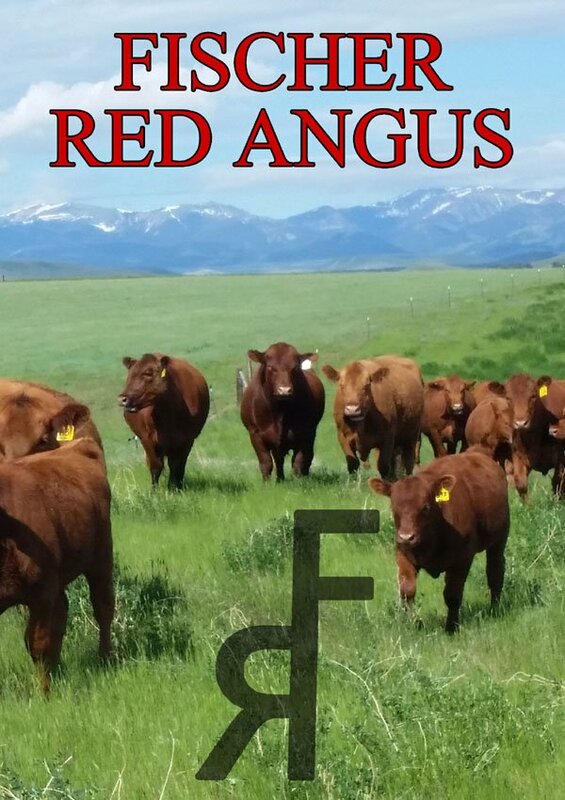 Come take a look at some of the top Red Angus genetics we have in our herd. We highlight some of our top Dams and Sires. Located 3 miles south of Harlowton, Montana the moutain views surrounding the ranch are nothing but majestic. Come take a peek. Quick links to the NRAA and MTRAA red angus websites along with info about the businesses of sons Derek and Dallas Fischer. Need to get ahold of us? Click here to send us an email, view our phone number and obtain our shipping address.